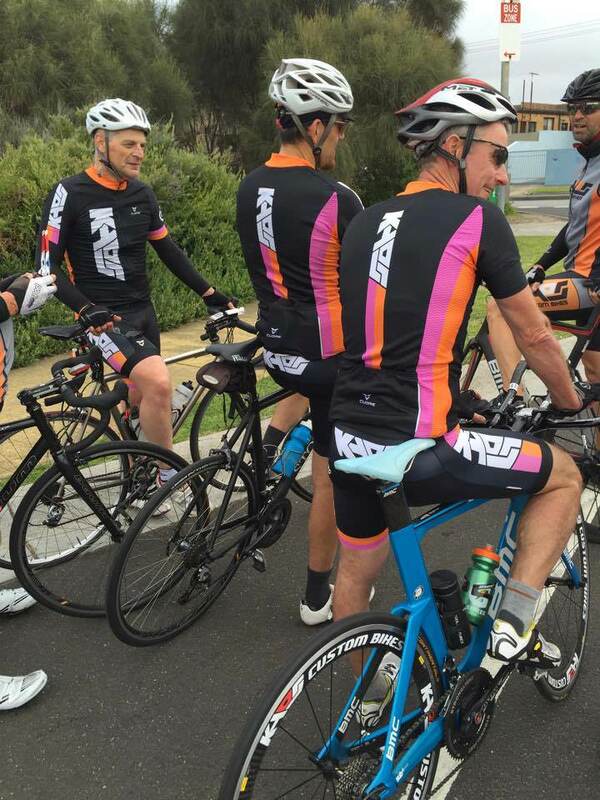 7am Saturday and 6.30pm Tuesday we do our group ride from KAOS Custom Bikes in Caulfield Sth along Beach Rd. We pride ourselves on riding safely and leaving no-one behind. 50km to Moordialloc return is for those wanting a faster group ride with stronger riders. 35km to Port Melbourne return is a gentler ride for those with less experience or less fitness.